Mosaics have been used by Middle Eastern and Mediterranean villas, bath houses, temples, mosques and churches as decorative feature. The Romans and Byzantines possess first and delicate examples of mosaics. Ravenna and Pompei mosaics in Italy, Kariye, Ayasofia in Turkey still fascinate with their mosaic features and mosaic lamps (just in Turkey) those who have seen. Mosaic lamps are delicate touch for those who still want to feel ancient age genuineness. Turkey is birthplace of mosaic lamps and one of the most pioneer producer of mosaic lamps and mosaic art. It has been more than 6000 years since first mosaic art started in Anatolia. 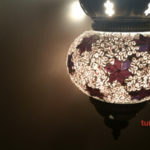 Throught centuries, mosaic lamps ligthen thousand of Anadolu and European homes. 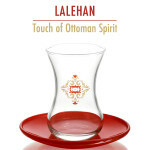 The way the glass is heated and cooled can significantly affect the colours produced. We use colourful glasses for mosaic lamps’ production, there is no usage of dye while making mosaic lamps. We cut big plates of colourful glasses with special scissors into small pieces. 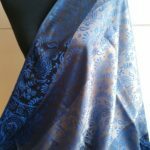 Then we create motif with small pieces and handle them one by one. Production of these small pieces for mosaic lamps is artisan craft. Even production process of smallest mosaic tea light takes 40 minutes. Mosaic lamps are stunning for shadowing. 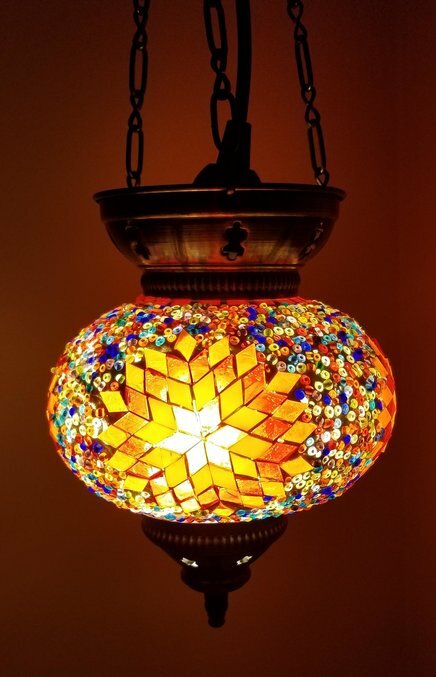 If you want to use mosaic lamps in your garden and porch, mosaic lamps will move and spin in the air reflecting light in a magical way into your house and porch. They are also so relaxing as night lamp because of shadowing. After a stressful day, you can close all the lights and have your tea within magical shadows of mosaic lamps. To create an eclectic concept, mosaic lamps will warm up your living room and give a classy look to your living room. Mosaic patterns are in trend now. Most of the Parisian, Italian, lately NYC apartments and luxurious estates all over the world have mosaic details in their bathroom. If you want to give a marble touch to your bathroom, you can use mosaic lamps as complimentary detail. In that way, you will have both classy look and relaxing spa environment by shadows of mosaic lamps. Since the bedroom becomes one’s sanctuary may it be day or night, you should design your bedroom in the most relaxing way. By creating a peaceful environment, you will relax and get yourself relieved from stress in your bedroom. So lets make your bedroom a sanctuary and clear the area around your bed. Then put some fluffy pillows, comforter like a cloud. And decorate your bedroom with mosaic lamp that gives off soft light to complete your sanctuary look. Voila! Here is your cozy, relaxing bedroom to start every day positive! SKU: Orange. Category: Boxing Day Sale, Boxing Week Sale, Gift Set, Gifts Unisex, Mosaic, Mosaic Lamp & Candle, Valentines Day. Decorating home or business areas like office, bar, a restaurant in an authentic concept is in an increasing trend in the world among people, housewives and professional decorators. Handmade mosaic Authentic Turkish Mosaic lamps change the environment’s atmosphere and create a warm ambiance of romantic intrigue. Lamps add artful views to any location that they are applied to and its breathtaking impact are worth seeing at the face of guests. These lamps have a large variety of design and colour combination and shape and they can be used by either candle or with electricity by buying electrical versions or adding cable system at home yourself and turning it to an electrical one. You may also hang fresh or dried flowers on it.